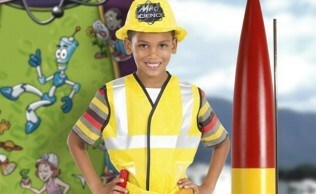 Mad Science Awesome Activity Weeks are five days of spectacular, affordable FUN! Each day is three hours of interactive discovery and exploration. 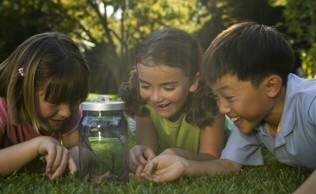 Choose from four different Activity Weeks, each exploring several related scientific areas. We bring all of the instruction, equipment, materials, and "make & take" projects directly to your site. We can even provide on-line registration to make running a Mad Science AAW as easy as possible. Children ages 6-12 will overcome a series of challenges using basic materials, simple machines, tips from famous inventors, and, most important of all, their minds! With a little bit of ingenuity, children will create catapults and forts, construct working light sticks to take home, and more. While Edison said that "invention is 10% inspirtation and 90% perspiration", this activity week is 100% FUN! Explore what makes things fly! Learn about the forces at work on airplanes, rockets, hot-air balloons, and more! Ages 6-12. Children will become detectives to invetigate many aspects of the world around us from animal tracks and camoflage to secrets of deep space. They will discover how to send secret messages using special codes, explore their environment, and find out how science can help us to protect our planet. Ages 6-12. Please contact us to learn more about how we can bring you some exceptional science programming!